Two all-time legends in one purrfect book! 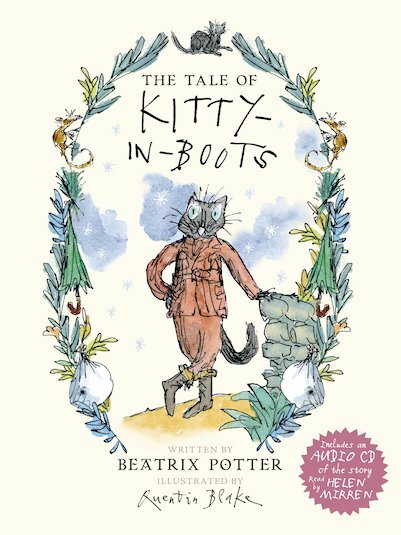 Lost for a century, Beatrix Potter’s tale of a brave, stylish kitty is now illustrated by artistic genius Quentin Blake. Miss Kitty isn’t the kind of cat who snoozes on rugs and purrs on your lap. This polite and serious black cat leads a daring double life! But what will Miss Kitty do when she sneaks out one night in her beautiful boots, and bumps into a foxy villain – hungry hunter Mr Tod?